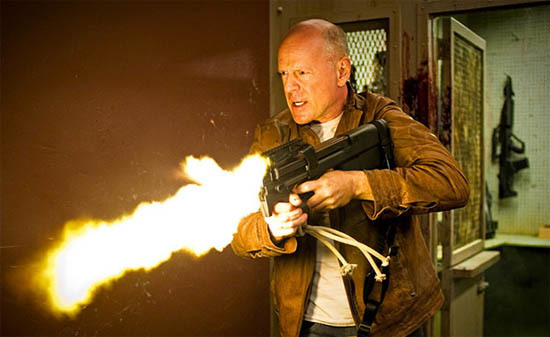 Trailer for the new Bruce Willis time travel movie, Looper. He plays an assassin using time travel to carry out hits, who finds his younger self is coming after him to rub him out. Can you kill yourself? Isn’t there meant to be some time travel Prime Directive about that kind of paradox? I like Chuck Palahniuk’s take on time travel in ‘Rant’. Killing your ancestors to become a being that exists outside the constraints of time. Not really in tune with what is understood about time an space by physics though. So the McFly directive is probably violated. « Skyfall… James Bond pics.